Export Portal is one of world's largest online e-commerce and trading business-to-business platforms allowing sellers to meet buyers on a global scale. If you are seeking Cyprus suppliers, in our online store you can find a great selection of unique and branded Cyprus traditional food products, Cyprus copper products, Cyprus aromatic herbs, and even more. Forming a bridge between West and East, Cyprus has established itself as important transshipment center. It is especially beneficial to suppliers and manufacturers building up Middle Eastern, European and North African export activities. Cyprus' main export commodities include pharmaceutical products, manufactured food products and photo-sensitive devices. With reference to manufactured products, they constitute the bulk of Cyprus’ exports representing about 60 per cent of the market. The country has justifiably gained the name “The Garden of the Mediterranean” as it offers the international market an ever-expanding range of agricultural products. For instance, "Halloumi Cheese" has become an export success story, while other popular fresh produce include grapes, potatoes, citrus fruit, melons, aromatic herbs and vegetables. Other agricultural food products that gained international importance are fish and meat products as well as fruit juices. Export Portal is a preferred online hub for consumers and businesses to purchase products online. Join Export Portal now to contact Cyprus Manufacturers and Suppliers. Cyprus is a free-market economy with a business-friendly environment and according to the World Bank it is considered a high income economy. The economy of Cyprus is also included in the IMF's list of advanced economies. The major economic sectors of Cyprus economy are shipping, financial services and tourism. Tourism plays an important role for the country's economy, culture and development. 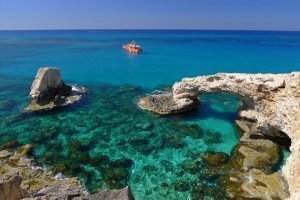 Cyprus is the most popular tourist destination of the Mediterranean region, being the 40th most visited country. Considerable quantities of offshore natural gas have been discovered in the Aphrodite region and in the future it can become an important source of energy. Regarding Cyprus imports, it can be pointed out that it is the 108th largest importer in the world and one of the largest importers of agricultural products. Other major Cyprus imports are: are pharmaceuticals, refined petroleum, sea vessels, cargo and passenger ships, machinery, vehicles and parts, copper wire, textiles. Imports mainly come from Germany, Greece, Israel, Turkey, Russia, UK, France, China. 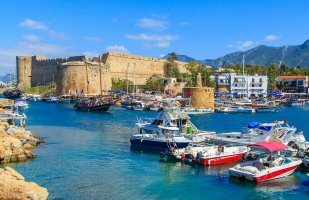 The geographical location of Cyprus, being a bridge between East and West, along with its advanced transport and telecommunication infrastructures, have enabled the country to transform itself into an important trading hub. Strategically situated at the crossroads of three continents, Cyprus has become the EU’s key trading hub in the Eastern Mediterranean, providing a point of exchange between Europe, Africa and Asia. Having established itself as major transshipment centre, the island is also especially beneficial to manufacturers building up European, Middle Eastern and North African export activities, allowing for maximum efficiency in the process chain taking the product from factory to market. Cyprus is a member of the United Nations, Commonwealth of Nations, World Bank, International Monetary Fund and Council of Europe. The process of exporting goods to Cyprus is similar to that followed in other European countries. Cyprus applies EU customs procedures to all imported goods. However some products (for example certain foodstuffs) may still require import licenses from the relevant authorities. EU products or imported goods from non EU Member States, for which all import duties and taxes have been paid and were released for sale in the local market of an EU Member State, that are consigned to Cyprus from another EU Member State incur no customs duties though VAT is to be applied in specific cases as provided for in the EU Customs Legislation. Trade with Cyprus is totally free from customs duties, provided that the country of origin of the goods is one of the other 25 EU Member States. The duties for non-European countries are relatively low, especially for manufactured goods (4.2% on average for the general rate), however textile, clothing items (high duties and quota system) and food-processing industry sectors (average duties of a 17.3% and numerous tariff quotas, PAC) still have protective measures.